The lesson to be derived from these events is that simple warnings against such irrational and lawless crowd behavior are not sufficient. Meaningful and effective measures have to be taken to step up the efficiency of the law enforcement authorities. (August 30, Colombo, Sri Lanka Guardian) The repeated warnings to the people against taking the law into their hands and appeals to respect the rule of law seem to be the silver lining in the cloud of the current grease devil syndrome. 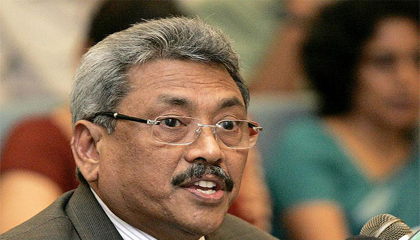 The authorities led by Defence Secretary Gotabaya Rajapaksa, while assuring the people of full protection and security keep warning of dire consequences for people who choose to take the law into their hands. The tendency for people to assume the role of dispensers of justice is a bothersome phenomenon observed in most countries where democratic liberties exist. This happens under varying circumstances. In this country such spasms of instantaneous justice are often observed after motor vehicle accidents where ordinary road users are killed or injured. Curious crowds of people gather immediately after an accident and when they see some injury or damage caused to someone as a result of an accident, they lose their balance and run riot. They do not wait to find out by whose fault the accident had occurred. Knowing as they do the general reaction of people in such situations, the drivers of the vehicles involved escape if they are able to do so. The crowd then releases its collective fury by setting the vehicle on fire. The police generally arrive on the scene after the whole damage has been done. This type of crowd behaviour is also observed in situations where people become impatient over the inaction or delay in action by law enforcement authorities. Irate crowds take upon themselves the task of punishing the suspects when their complaints to the police do not bring forth quick results. They manhandle the suspects or storm their residences and sometimes set their houses aflame oblivious of consequences that would be in store for them. Often it is after such clashes and conflicts that the police are galvanized into action. Crowds sometimes resort to protest demonstrations before they move into violent action. This type of crowd behavior was observed on two recent occasions. In the Chilaw area a certain person who allegedly used Christianity for selfish reasons causing dissension among people in the area was arrested only after people gathered in protest in front of his residence. Crowds of concerned people stormed the place of another person in Avissawella who had disguised himself as a Buddhist monk and exploited the religious sentiments of gullible people. In this case, the suspect had disappeared by the time the crowd entered the place. The present problem of grease devils which has already caused several deaths and engendered clashes and conflicts has now entered the realm of a mysterious phenomenon over which the authorities do not appear to have control. While the syndrome continues unabated, the government and the opposition keep exchanging conspiracy charges against each other. Government spokesmen accuse opposition parties and criminal elements of creating the present confusion, while the opposition parties charge that it is the government that engineers it for political purposes. However, the accounts and rumours about various incidents occurring around the country place the people in a quandary unable to pin responsibility on either party. The lesson to be derived from these events is that simple warnings against such irrational and lawless crowd behavior are not sufficient. Meaningful and effective measures have to be taken to step up the efficiency of the law enforcement authorities. The majority of the personnel in the security forces and in the police department are, no doubt, discharging their duties satisfactorily to ensure law and order under trying conditions. Charges of corruption, partiality, political favouritism and various other misdemeanours are nevertheless levelled against a large number of them. It has, therefore, become imperative to raise the moral standards of the personnel in these services so that they may carry out their duties by the people with maximum efficiency, integrity and impartiality. The tendency for the public to take the law into their hands will then be curbed. The decision made by the government to revive the civil defence committee system seems appropriate in view of the need for public cooperation to maintain social discipline. However, great care has to be taken in constituting these committees. The members selected have to be persons of high calibre who will act strictly in the public interest. The present pattern of packing such committees with political party favourists should be deviated from. The attempts that would be made by interested parties to convert these committees into instruments for promoting political party interests will have to be thwarted. The overall effort of all concerned should be to restore the supremacy of the rule of law. The Defence Secretary Rajapaksa’s warning to the people to refrain subverting the law, needs to be extended to the law enforcers themselves and to the politicians who often tend to arrogate to themselves the task of dispensing justice. They sometimes become the complainant, the judge and the executioner. One need not delve deep to find examples of such conduct in this country. The members of the public also have to be apprised of the importance of respecting and upholding the law at all times. In situations of accidents where innocent people are victimized there is justification for being indignant. But such emotions do not permit any person to violate the law and disturb public order. The public can however assist the authorities in various lawful ways in enforcing the law.